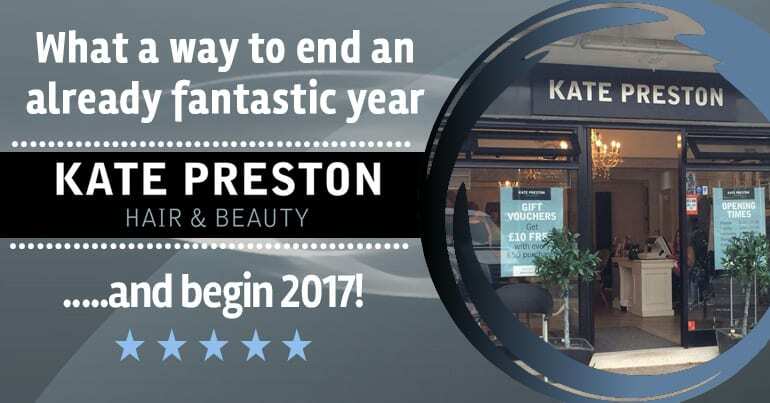 For Kate Preston Hair & Beauty it wasn’t just christmas that got us feeling determined for the year ahead, we recieved some fantastic news! For the first time ever our lovely Fareham based salon has been recognised in The News Business Excellence Awards for 2017. We are so pleased to announce he have been shortlisted for Small Business of the Year! Not only that, after fifteen apprentices over ten years – Jenny Cornish has been shortlisted for Apprentice of the Year 2017! Jenny is the first of our apprentices to ever have been selected in business awards. The awards ceremeny takes place in February and will be held in Portsmouth Guildhall. We are extremely excited and just cannot wait for 2017!